On the northern wall of the nave. 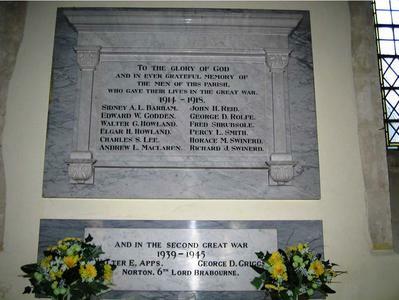 A dark grey marble tablet with the dedication written in black lettering. 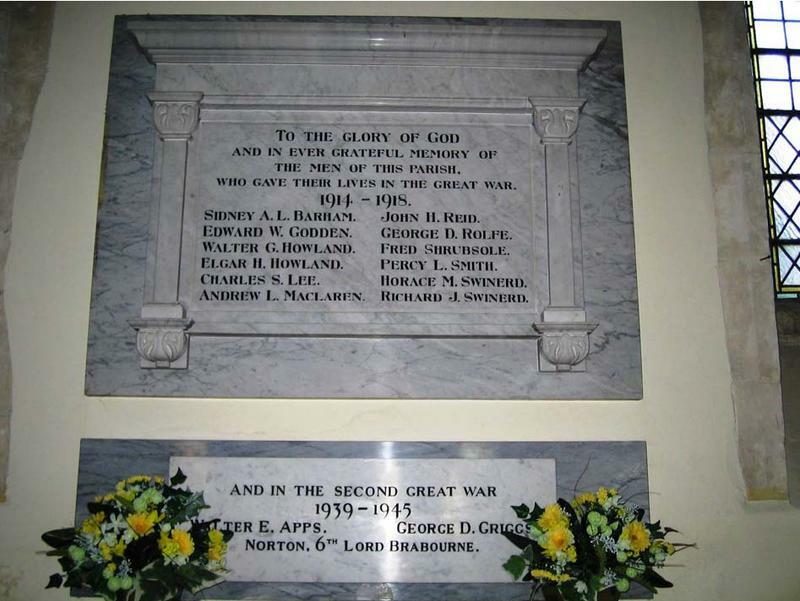 An additional marble tablet has been mounted beneath the original with the commemoration to the Second World War.